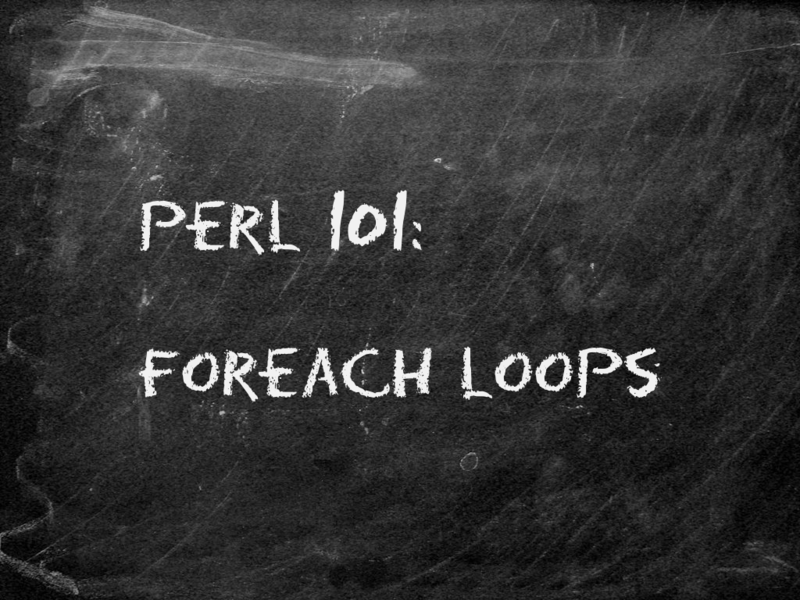 A foreach loop runs a block of code for each element of a list. No big whoop, “perl foreach” continues to be one of the most popular on Google searches for the language. So we thought we’d see what’s happened in 20 years. I expand on Tom Christiansen’s slide that’s part of his longer presentation then add a new but experimental feature at the end. If you want more, there’s plenty to read in perlsyn or my book Learning Perl. There are three keywords that let you control the operation of the foreach (and other looping structures): last, next, and redo. The redo restarts the current iteration of a block. You can use it with a foreach although it’s more commonly used with looping structures that aren’t meant to go through a list of items. There’s more that you can do with these. The work with labels and nested loops. You can read more about them in perlsyn or Learning Perl. This is usually not a good idea. The foreach needs to have to entire list all at once. This isn’t a lazy construct like you’d see in some other languages. This means that the foreach reads in all of standard input before it does anything. And, if standard input doesn’t close, the program appears to hang. Or worse, it tries to completely read terabytes of data from that filehandle. Memory is cheap, but not that cheap. The foreach is a handy way to go through a list an element at a time. Use it when you already have the list completely constructed (and not to process a filehandle). Define your own topic variable to choose a descriptive name.